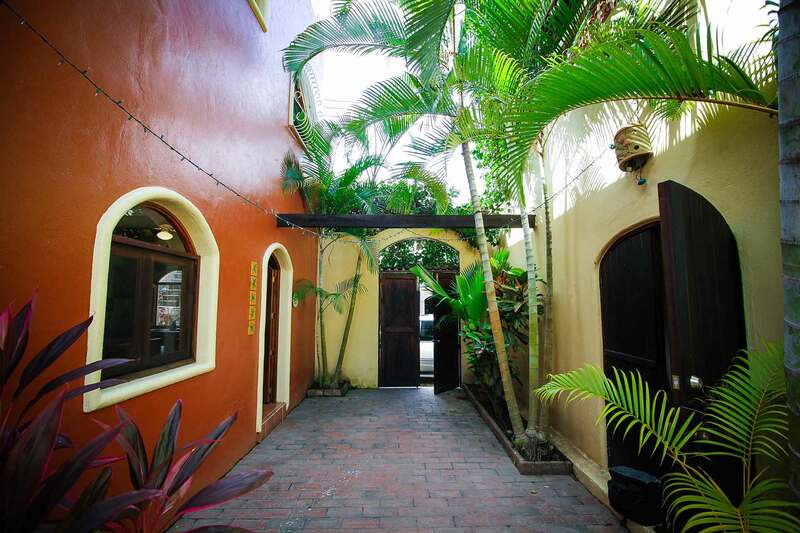 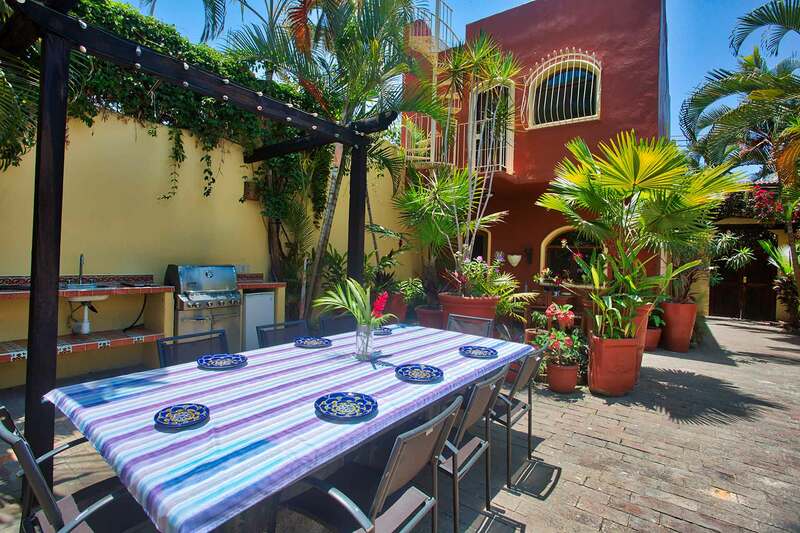 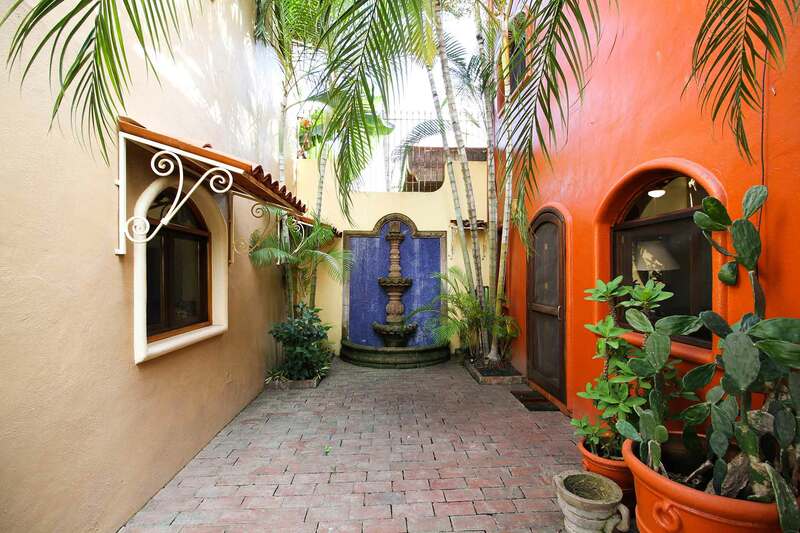 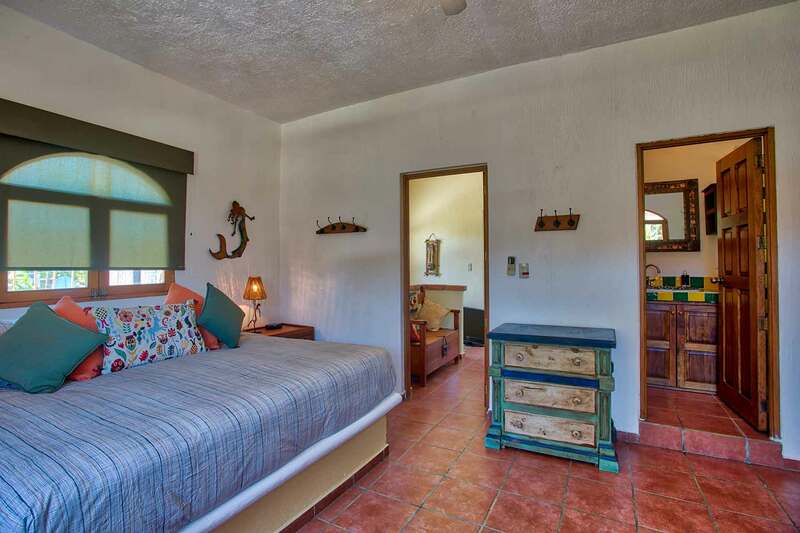 Casa Siggy is one of three separate units that comprise Villa Tres Amores. 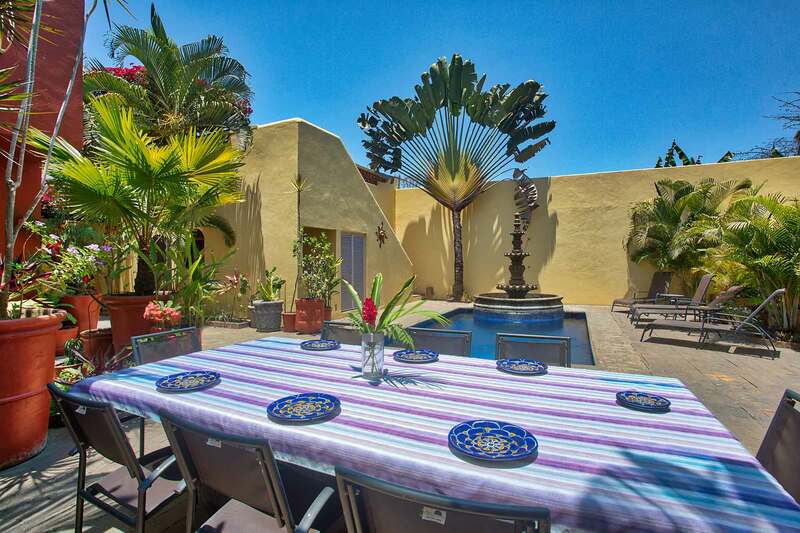 The three casas can be rented together as the six-bedroom, Villa Tres Amores or individually as Casa Sarah, Casa Julia & Casa Siggy. 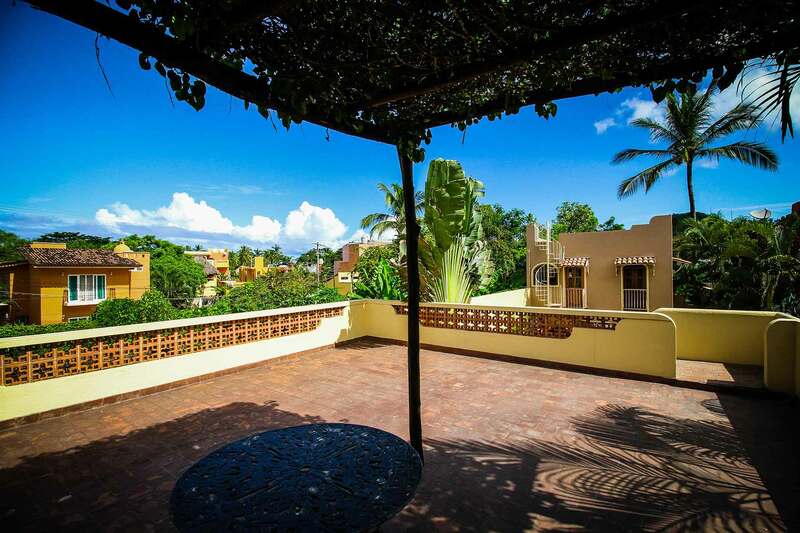 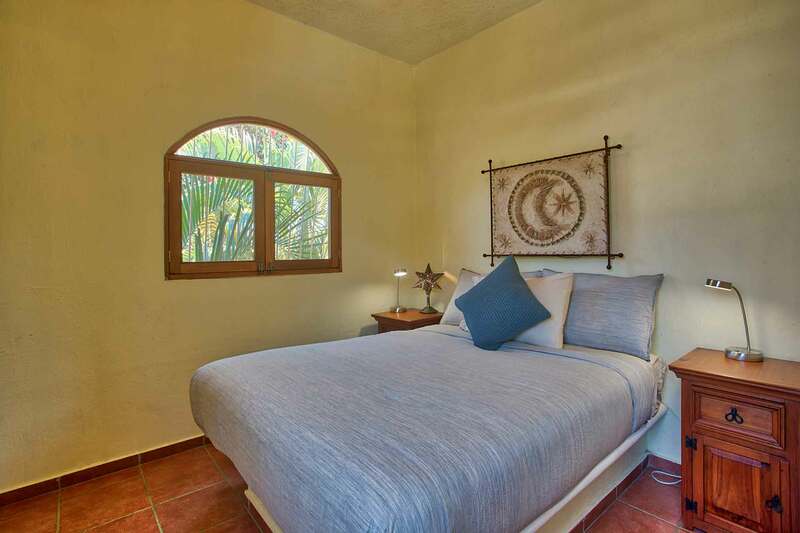 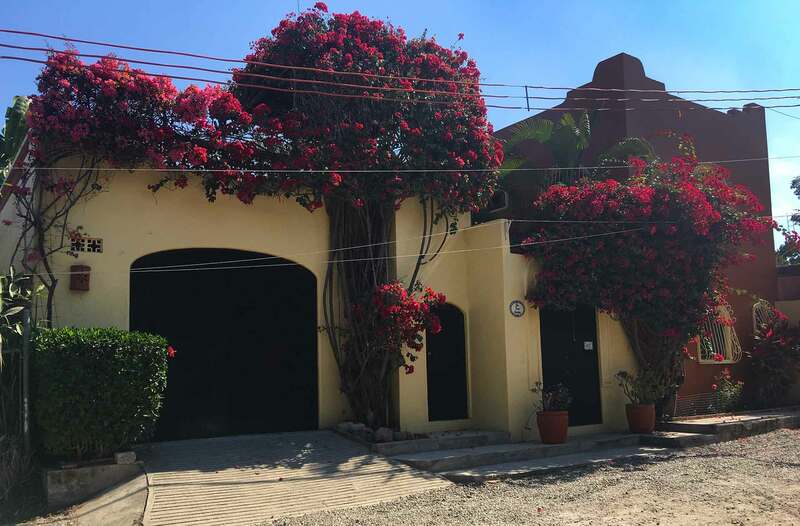 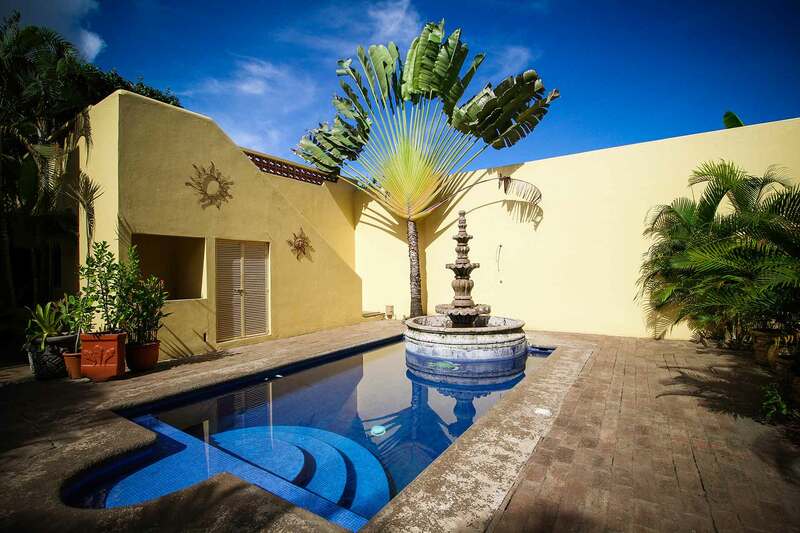 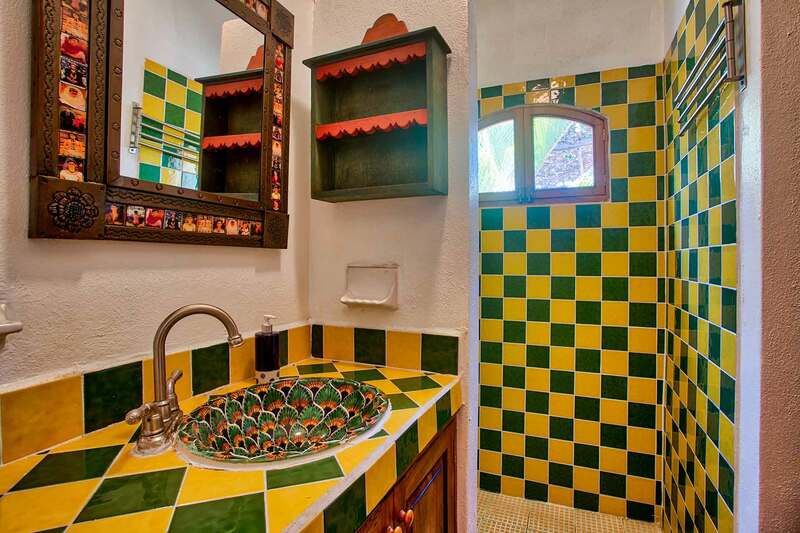 Casa Siggy is one of three cozy, two-bedroom, two-bathroom, two-story homes nestled in the botanical haven of Villa Tres Amores, within an eight minute walk through the charming village of San Pancho to the much sought-after Riviera Nayarit beach. 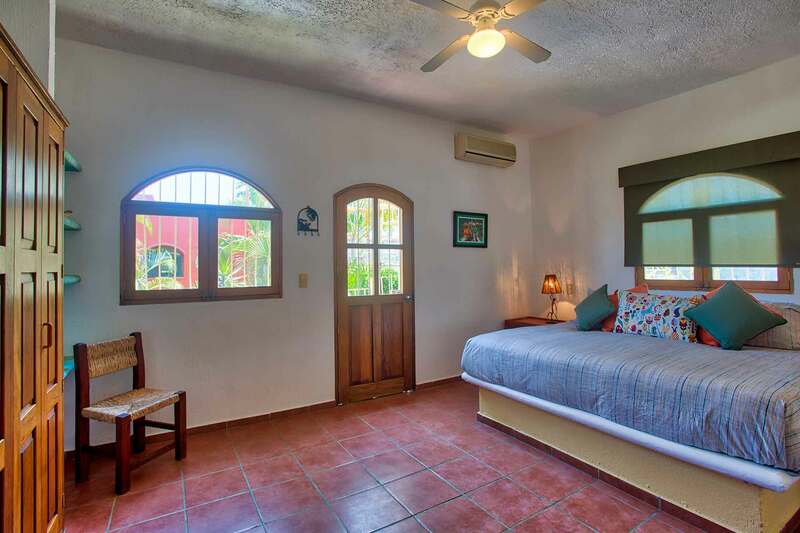 Casa Siggy consists of 800 plus square feet of air conditioned living space (although the overhead fans are always available to move natural air during the winter when air conditioning is rarely needed). 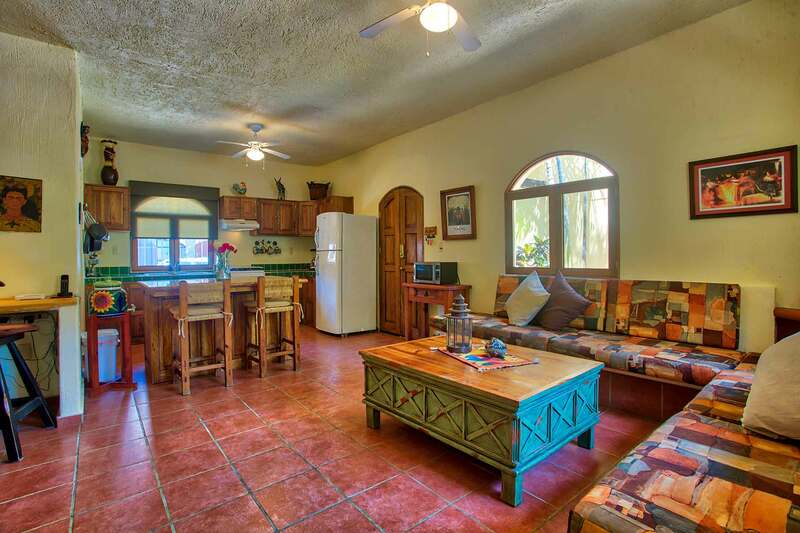 This comfortable space feels larger than its measurements! 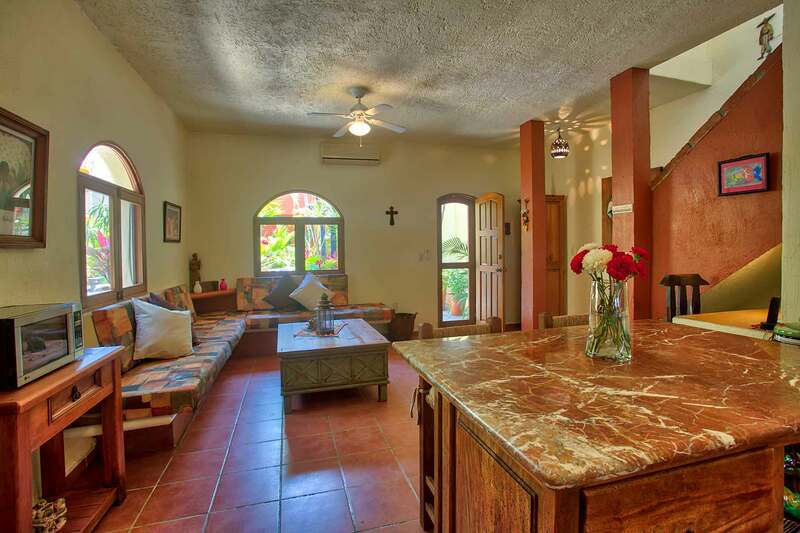 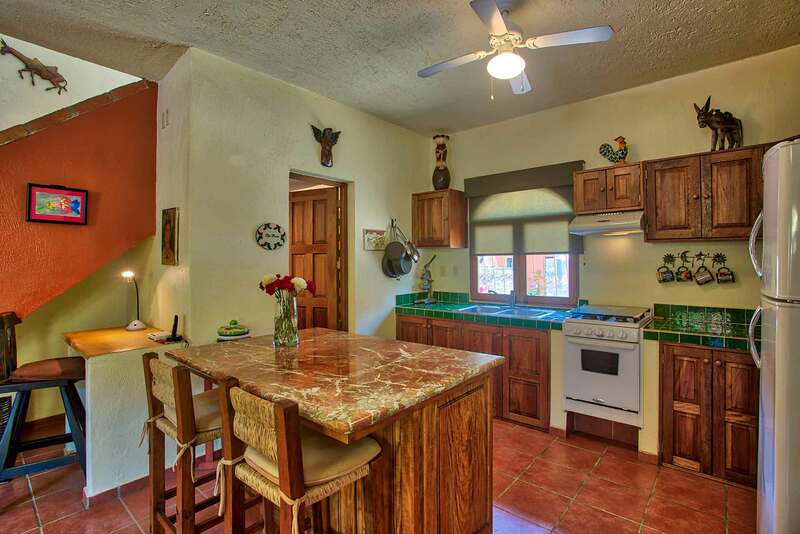 The ground level has an open-concept full kitchen and living area, with an adjacent bathroom that boasts a classically Mexican tiled sink and shower. 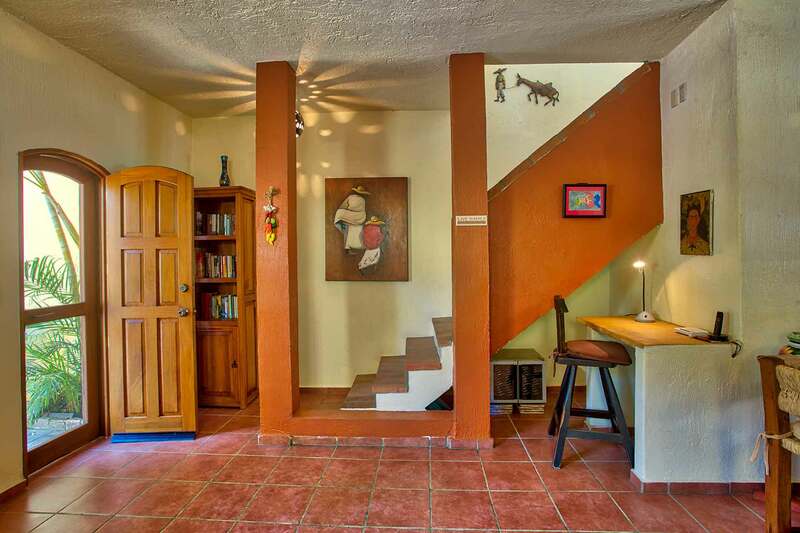 Upstairs, the second floor hosts two bedrooms. 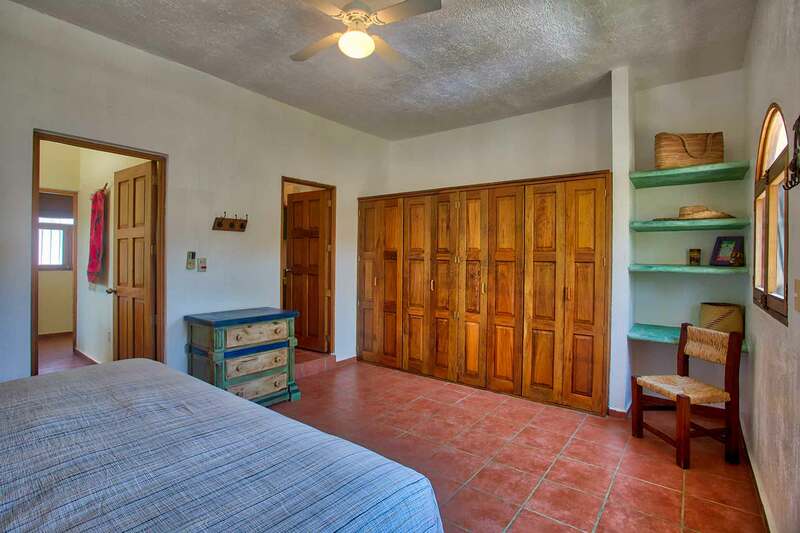 One bedroom holds a king bed with full bathroom and the other bedroom down the hall has a queen while the other full bathroom is just downstairs. 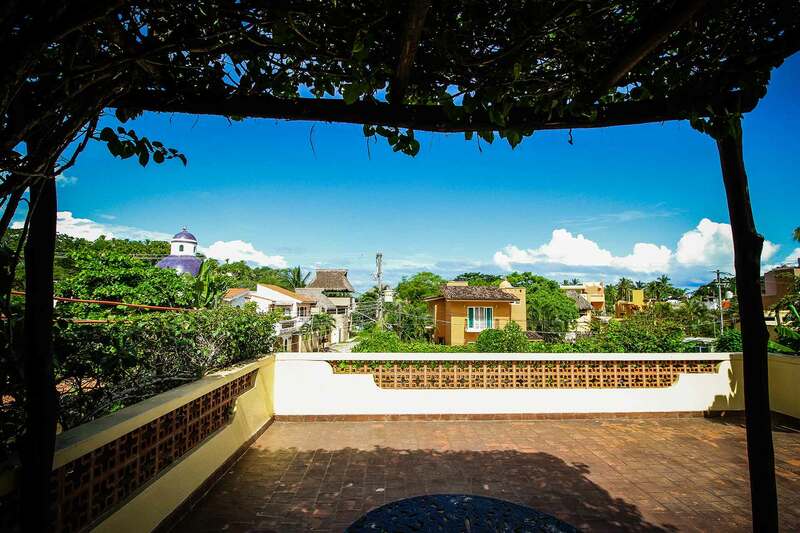 From this master bedroom, an outdoor spiral staircase winds its way up to the private rooftop terrace with its heart expanding views of the surrounding neighbourhood, countryside, sunrises and sunsets. 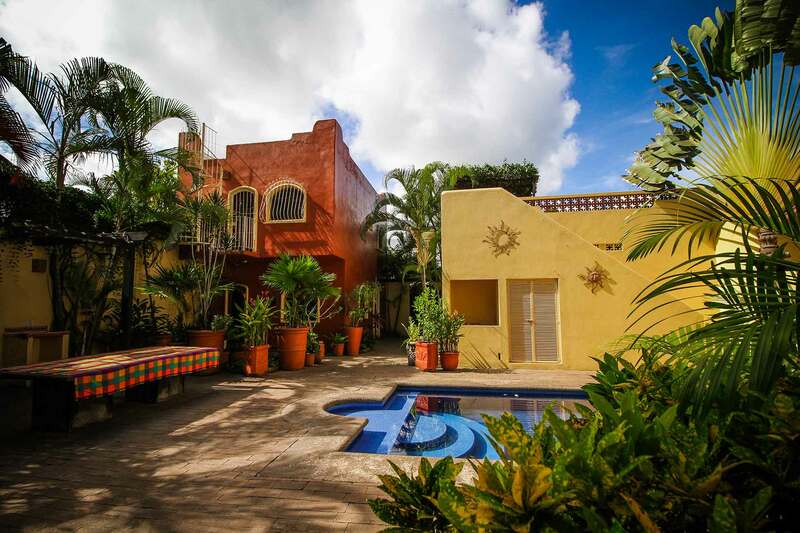 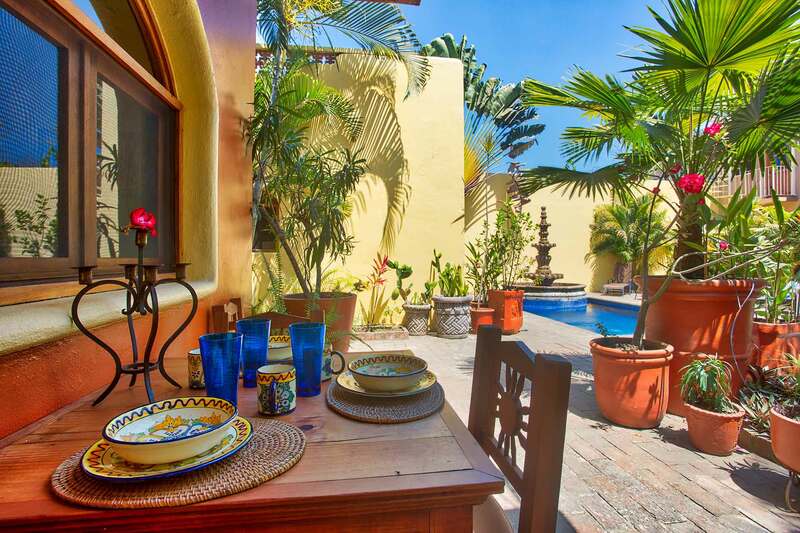 Casa Siggy and the other two private homes that comprise Villa Tres Amores, share the peaceful, luscious courtyard with pool, cascading fountain and outdoor kitchen complete with BBQ and a large dining table situated beneath a romantic vine trellis. 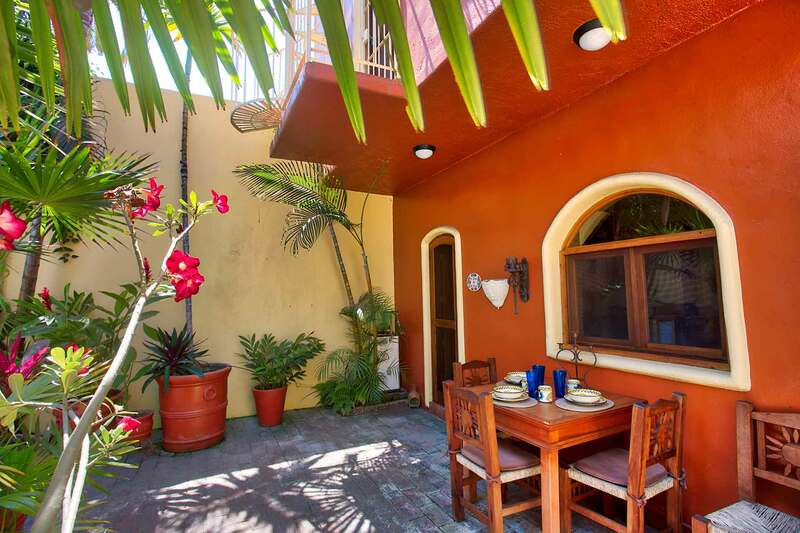 Although, each home hosts a private rooftop terrace, there is another communal rooftop terrace complete with raspberry-colored Bougainvillea overhead canopy. 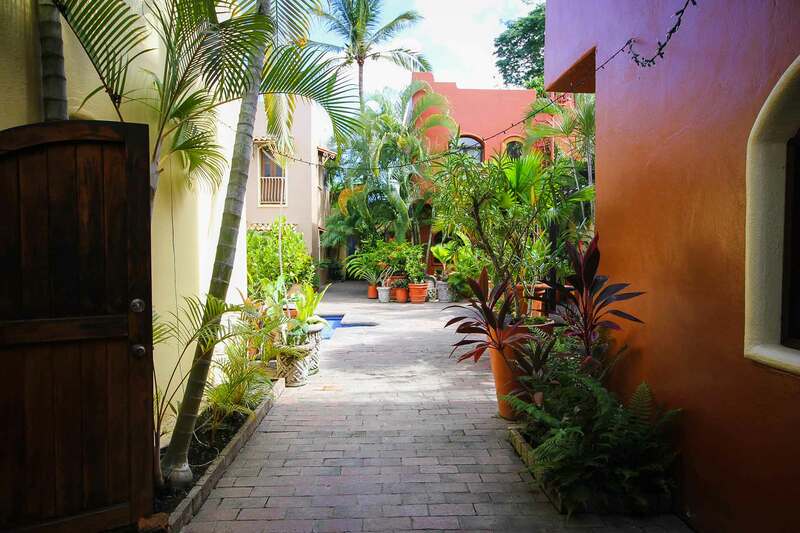  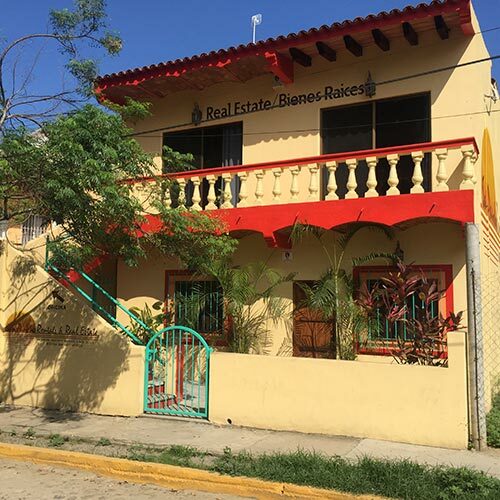 The convenient location in the El Izote neighborhood provides easy walking access to the town center and the beach so that families and individuals have the ability to come and go as they please. 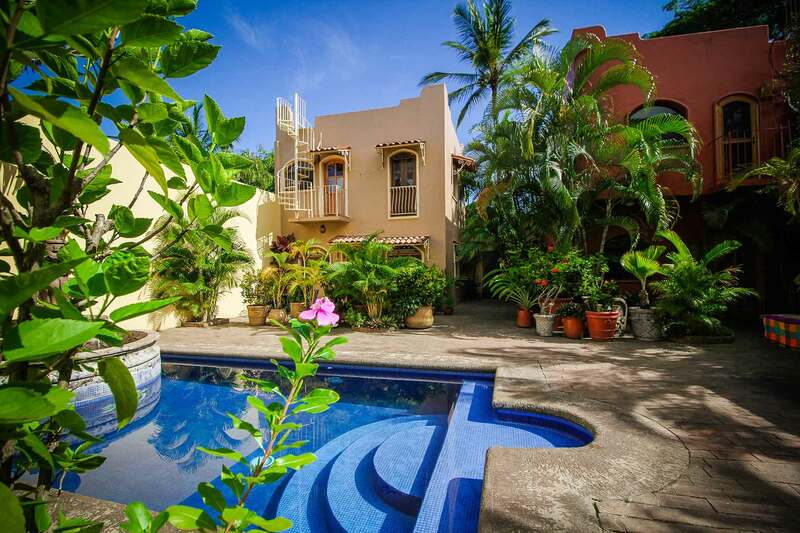 Enjoy this quaint Riviera Nayarit Beach village of San Pancho with its unique shops and excellent, clean restaurants. 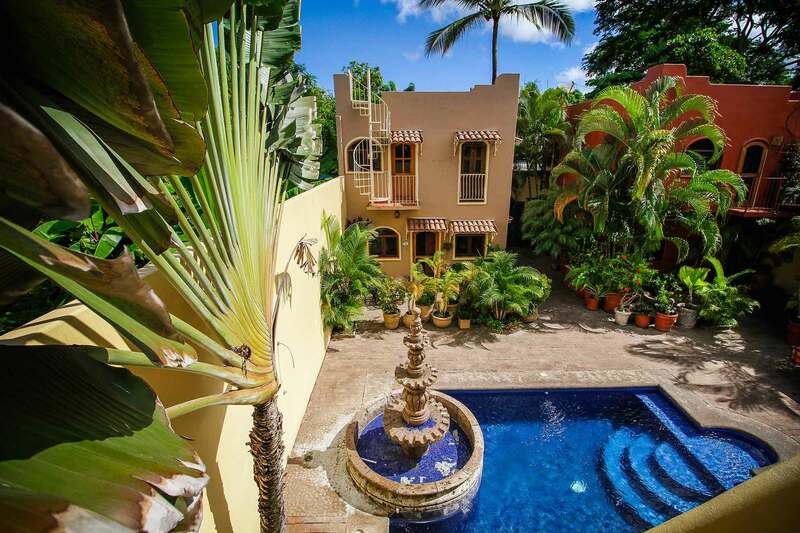 Experience the variety of adventure tours available to you, or spend the day relaxing at the beach, swimming, surfing, or listening to the waves roll in and watching the pelicans swooping and diving for fish. 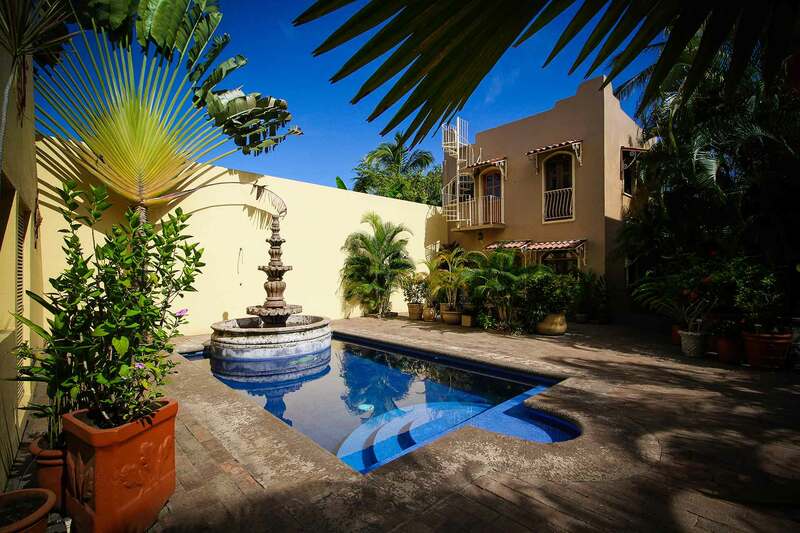 But at the end of the day return home to Casa Siggy at Villa Tres Amores to melt into the simple peacefulness of your luscious garden sanctuary and the cool soothing waters of your pool.